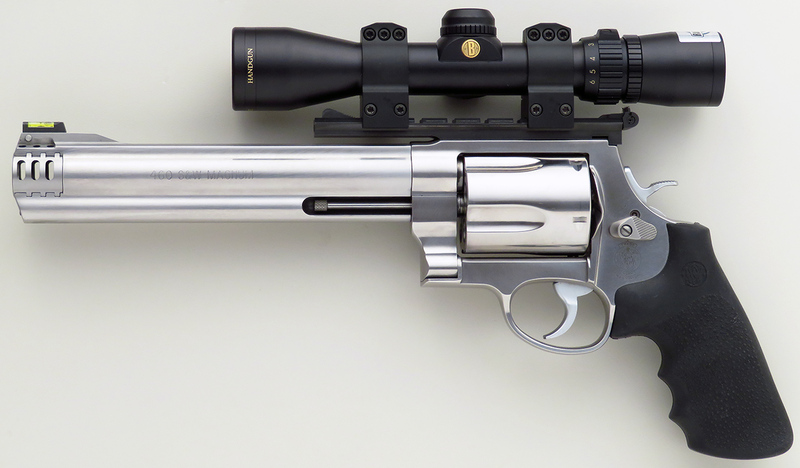 Smith & Wesson 460 XVR .460 S&W Magnum as pictured and showcased in American Rifleman and American Hunter, Bushnell, Galco, Warne, 98 percent - Sportsman's Legacy, Fine firearms, related books and sporting collectibles. Representing estates, collectors and nonprofit conservation organizations. 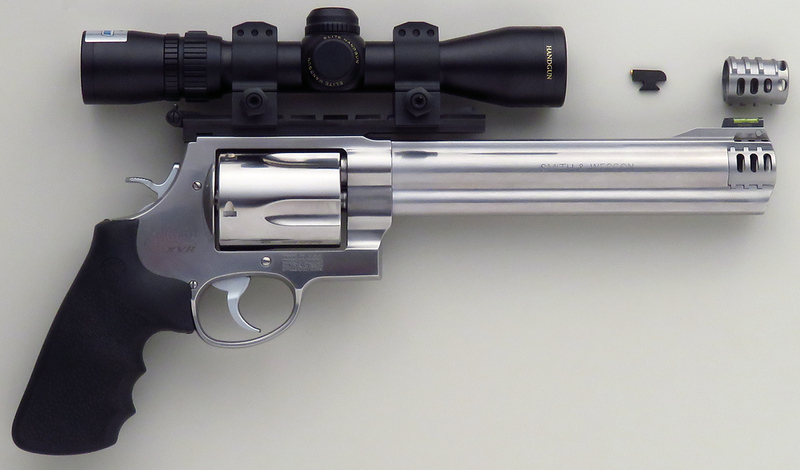 Smith & Wesson Model 460 XVR .460 S&W Magnum. 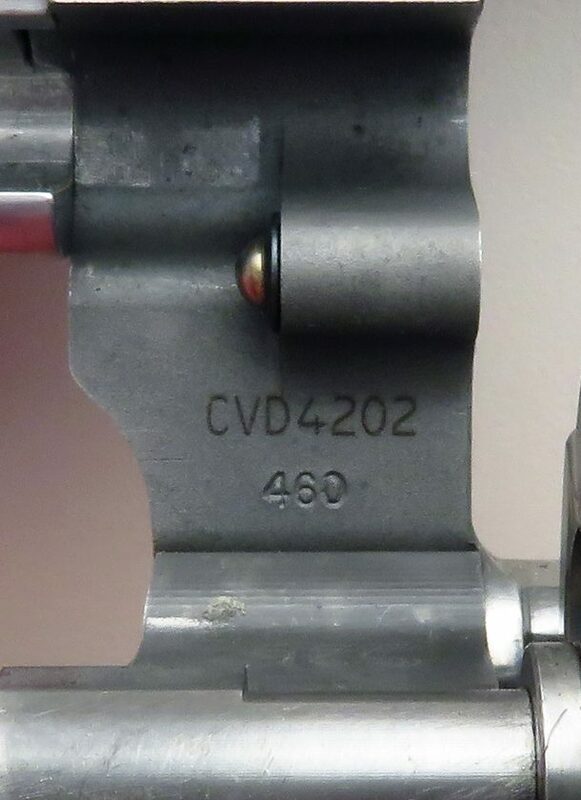 Serial number CVD4202 features an 8.375-inch barrel with integral removable muzzle brake (can be replaced with included extended muzzle brake), green fiberoptic removable front sight (can be replaced with included beaded blade) and has a wonderfully tuned trigger. 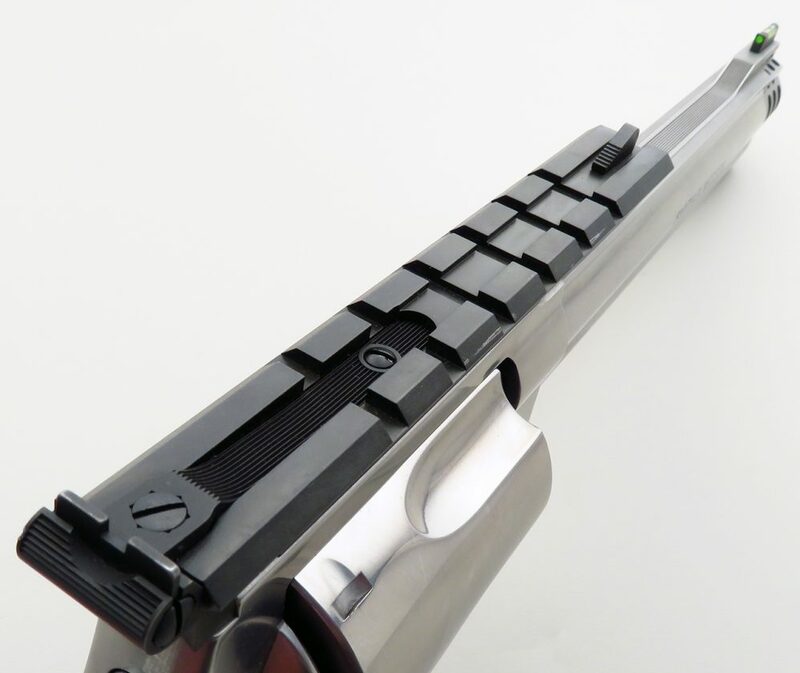 A Warne base with integral front sight and mounting bracket that accepts the factory adjustable rear sight is also included. OPTIC: A Bushnell Elite 2-6×32 scope with plex reticle mounted in Warne rings is included. 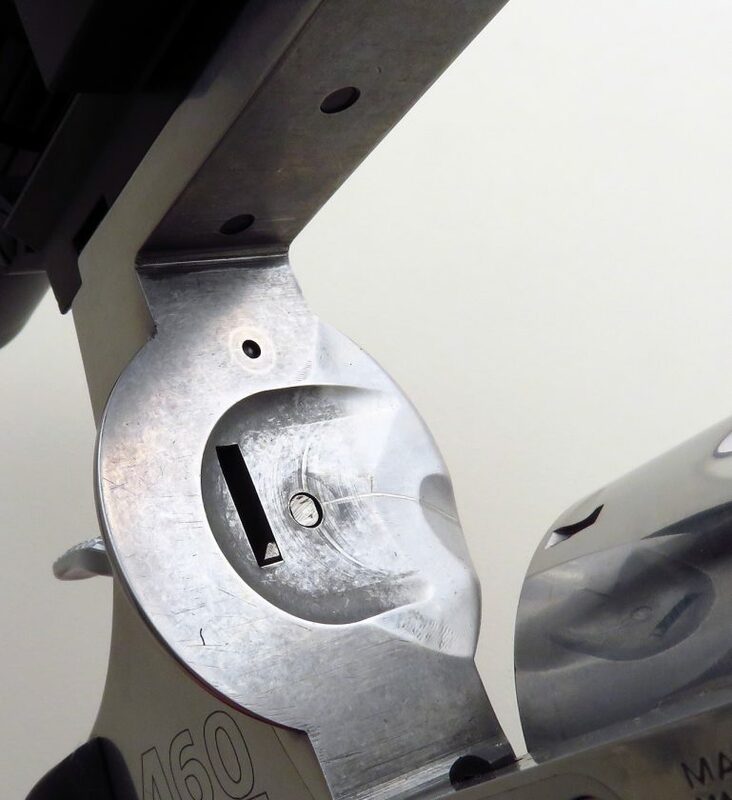 MEDIA APPEARANCES: This pistol is pictured on the cover (inset) of the July, 2015 issue of American Rifleman and is the subject of a feature article which begins on page 52. 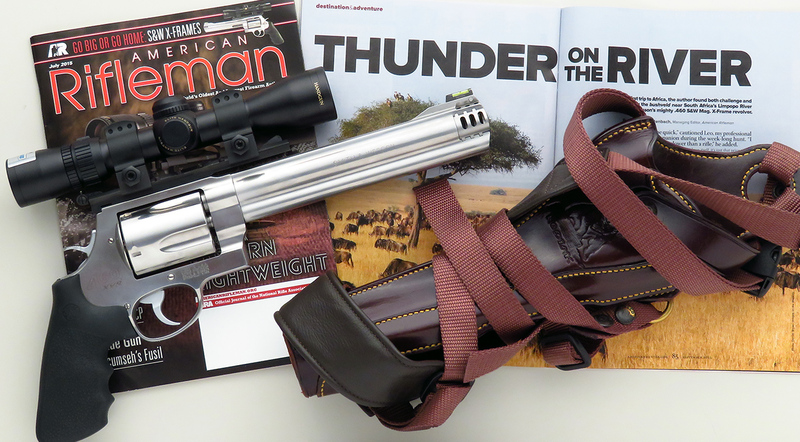 Also, it was used in Africa on a hunt featured in the September, 2015 issue of American Hunter which begins on page 84. Copies of both magazines are included. LEATHER: A Galco Kodiak shoulder holster (right hand) with padded straps and open front (for use when scoped) is included. CONDITION: The bore is strong and bright. 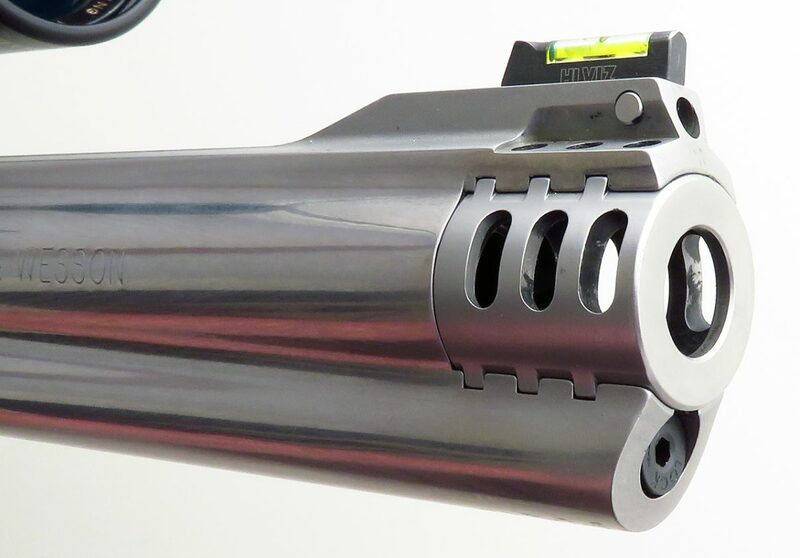 The cylinder locks up tight. Exterior finish is about 98 percent, with only minor evidence of careful use. 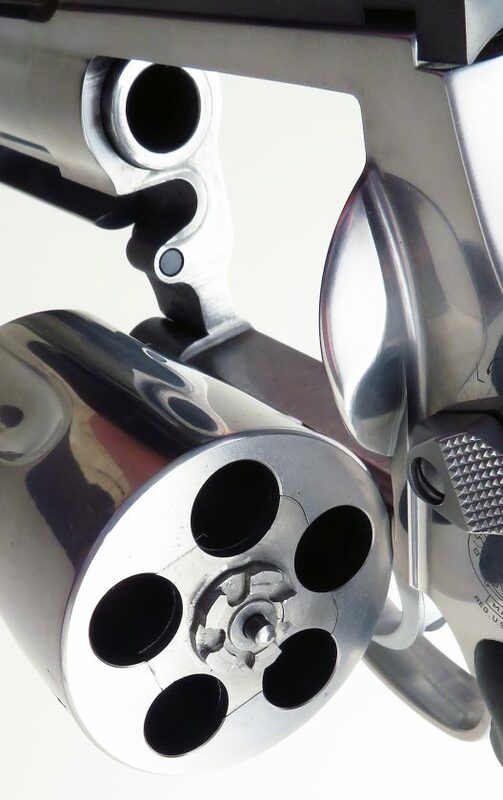 INCLUSIONS: Upon request, the consignor will provide a personalized letter stating this pistol is the one showcased in both magazine articles. The factory hard case, fired casing (dated 1/14) and manual for the scope will ship with the the pistol.